What Driver Education Tells You About Cell Phone Distractions? Every newspaper article, television commercial and internet public service message tells you not to use cell phones while driving but what about other distractions like eating or talking while driving? Can they be the cause of accidents? Texas adult driver education guides you regarding distracted driving and how it should be tackled. Texas State has very strict rules regarding distracted driving and inability to abide by those rules can land you in trouble. Moreover, it has also been observed that 11% of the fatal accidents that involved drivers under the age of 20 were caused due to distracted driving. 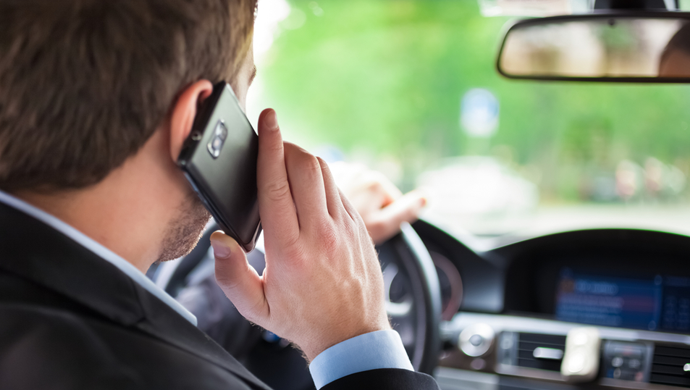 These rules were created in the light of the statistics gathered that revealed approximately 2,600 people die and 330,000 people are injured every year due to driving while using cell phones. Manual Distraction –The type that makes you take your hands off the steering wheel. Visual Distraction – One that makes you take your eyes off the road. Cognitive Distraction – This is the type that diverts your mind from the task at hand. You may have encountered the last type of distraction while watching T.V. or listening to a friend’s boring story but it’s needless to mention that during driving cognitive distractions can cause accidents and can be extremely life threatening. So, now that you have learned which types of distractions can divert your attention from driving, it’s time to take a look at the rules that Texas law states regarding these distractions. These local distracted driving laws are applicable only in two dozen Texas cities including El Paso, Dallas, Austin, Amarillo, the Canyon, San Antonio, Galveston, Corpus Christi, and Stephenville. These rules were enacted to ensure the safety of drivers as well as the pedestrians. Drivers that have learner’s permits are not allowed to use handheld cell phones during the first six months of driving. While driving through school crossing zones drivers are not allowed to use hand held cell phones. School bus drivers are not allowed to use cell phones while children are present in the vehicle. All drivers less than 18 years old are prohibited to use wireless devices. It should be noticed that the scope of distraction is not restricted to cell phone use; it encompasses use of any type of gadgets, grooming while driving, eating, drinking and a lot of other actions that we take for granted. Texas adult driver education not only informs you regarding all these distractions but also highlights the consequences of distracted driving and the penalties implicated by the law in such scenarios. You need to remember the fact that when you are driving you are not only responsible for your safety but also that of others present around you, so abide by all the safety rules and make sure that your driving is not turning into a problem for anyone else. Texas adult driver education course will not grant you your license but will make sure you turn into a decent driver!